DETROIT -- Chevrolet will look to dealers to do the bulk of the 2009 advertising for four primary vehicles: the Malibu sedan, Silverado truck, Traverse crossover and Cobalt compact car. General Motors will do the national advertising on the Camaro sport car and new Equinox crossover, with some national ad support on the Malibu. If you look at various dealer local marketing association groups across the country, they have some very healthy budgets that remain unspent, says Ed Peper, vice president of Chevrolet, at the Detroit auto show. So we should be able to make a little hay in the marketplace, Peper says. During the first eight months of 2008, combined ad spending by the Detroit 3 totaled $2.53 billion, down 14 percent from the same period of 2007, according to TNS Media Intelligence. GM has indicated its 2009 marketing budget is 20 percent lower than its 2008 budget. It declines to release figures. Chevrolets marketing budget has also been trimmed this year, Peper says. He declined to discuss figures. Despite that cut, Chevrolet has two launch products: the Camaro and the new Equinox. Thats why Peper is looking to dealers to support marketing on a local level of other key products. That includes spurring the sales momentum on the popular Malibu. Malibu sales through December were up 38.9 percent to 178,253. GM will continue to advertise it, but not at the same levels as last year, Peper said. Instead, Chevrolet will call on dealers to pick up the slack. 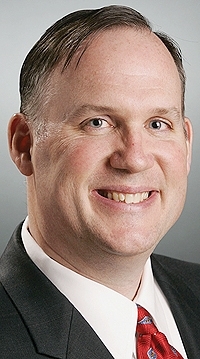 Peper says that in his message for dealers at the National Automobile Dealer Association meeting in New Orleans this month, he will urge them to make follow-up calls to potential customers and to improve on Chevrolets customer loyalty.